Greg Love is an accomplished, detail oriented, Realtor that operates at a level of professionalism that surpasses the norm. As a Charlottesville native, Greg loves the beauty and diversity of the college town he calls home and takes advantage of enjoying Charlottesville’s charm at every opportunity. 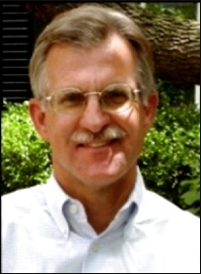 Greg’s extensive knowledge of land, farms, and homes throughout Central Virginia provides a deep and varied base further enhanced by Greg’s 27 years of experience in representing buyers and sellers. In addition, Greg’s love of history and the Commonwealth of Virginia generally brings forth a back story on the properties throughout the area that Greg knows so well. Greg’s clients appreciate the patient, consideration that shows he genuinely cares about connecting every individual with their perfect property and they rely on Greg’s particular strength of understanding the impact of subtle changes in the real-estate market to their advantage. Greg also knows how to to obtain a complete prospectus of a property and guides his clients to area resources such as appraisers, inspectors, lenders, surveyors and county officials. Greg graduated from Hampden-Sydney College with a degree in economics and learned the importance of TEAM while playing football and lacrosse for his alma mater. Greg applies the life lessons learned from advanced education and team participation to bring a collaborative approach to his real estate clients while exemplifying the Gayle Harvey Real Estate mission to exceed customer expectations with exemplary service. Give Greg a call… he will listen intently and has a wealth of knowledge to share!